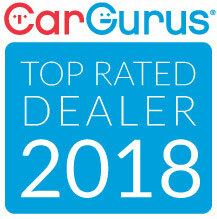 Used car dealer in Waterbury, Norwich, Middletown, New Haven, CT | National Auto Brokers, Inc.
National Auto Brokers, Inc. is a family owned and operated independent automobile dealership located in Waterbury, CT. Since 1984, we have provided a large selection of quality pre-owned vehicles at competitive market pricing. The goal of our family business is to take the "hassle" out of the car buying experience. We strive to ensure that each of our customers receives the personalized quality customer service that we have built our name on. Regardless of credit tier and budgets, we offer a wide variety of financing and extended warranties. We offer stress-free financing and we work with a variety of banks and credit unions to get you the best rates and terms possible to fit your budget with affordable payments. Regardless of your past credit history we can help. Bad credit, no credit, no problem. Since 1980, National Auto Brokers, Inc. has been helping people save time and money with their auto loans because of our national network of banks and credit unions. Best of all it's free with no obligation whatsoever. WHY BUY FROM National Auto Brokers, Inc.? With our large variety of the best pre-owned vehicles, we can assure that you will find exactly what you are looking for. Real time competitive market pricing will ensure you get the best price with the best finance options available. Each vehicle is inspected, serviced and 100% warrantied.Financing: Regardless of your credit rating, we can assure financing on the vehicle you desire.